Many years ago while en route to facilitate and teach in Atlanta, Georgia, our plane was stranded in Philadelphia in a snowstorm. I say “our” because I had our then seven year old daughter traveling with me. While waiting for the weather to clear, we went to the African American Museum in Philadelphia . It was here that I was first introduced to Ma’at, the Egyptian goddess and personification of truth, order, balance and justice. Visit Caroline Seawright’s website to learn more. I can best describe my experience at the museum, especially when looking at an entire wall with its mural of Ma’at, as mystical. Learning about her sense of balance, order, justice, and harmony read to me like a brochure for systemic family constellations. Since this time there is a larger part of my soul that considers Egypt to be the homeland and the wisdom of Ma’at as the foundational roots of the constellation field. 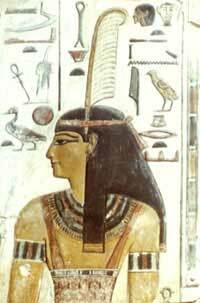 Ma’at is on my mind and heart as Egypt goes through all that it’s experiencing with its country’s protests. Stay tuned for a future post about the larger gestalt of our experience during the Philadelphia/Atlanta trip. Until then may you and yours feel the wisdom of Ma’at in the days ahead.